As the mass exodus continues out of San Francisco, Mike Iupati, the most coveted interior offensive lineman in this year’s free agent class has signed with the division rival Arizona Cardinals. Iupati and the Cards have agreed to a five-year $40 million deal with just over $22 million in guaranteed money. With the recent addition Iupati and the addition of left tackle Jared Veldheer last off-season the Cardinals’ left side of their offensive line has become one of the most formidable LT/LG combinations in the NFL. 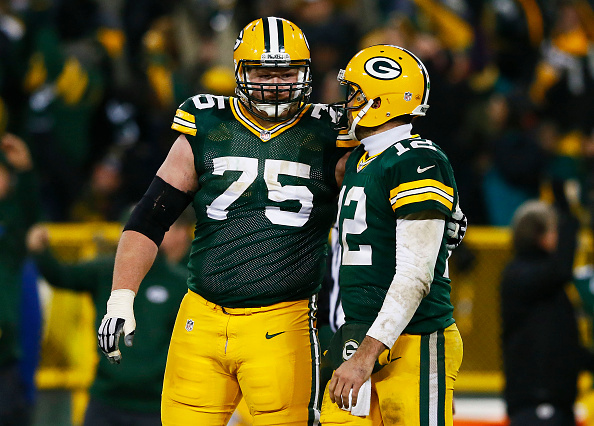 The Green Bay Packers continue to get it right by retaining the services of right tackle Bryan Bulaga. The 25-year-old is a very good pass blocker and still has room to improve. By re-signing Bulaga the Packers ensure that the continuity the offensive line developed over the 2014 season remains intact. The deal is worth $35 million over five years. This is a huge re-signing on the heels of Randall Cobb’s retention. It just goes to show that the best teams in football draft, develop and keep their talent…and have great quarterback play. – RB Roy Helu signs a two-year deal with the Oakland Raiders. – LG Clint Bowling re-signs with the Cincinnati Bengals. – QB Blaine Gabbert re-signs with the San Francisco 49ers. – RB Booby Rainey tendered by the Tampa Bay Buccaneers. – DL Kendall Langford signs with the Indianapolis Colts. – WR Brandon Gibson signs a 1-year deal with the New England Patriots. – RB Antone Smith re-signs with the Atlanta Falcons. – LB A.J. Hawk signs with the Cincinnati Bengals. – TE Lance Kendricks re-signs; four-years $18.5 million with the St. Louis Rams. – CB Leonard Johnson re-signs with the Tampa Bay Buccaneers. – WR Dewayne Harris signs with the New York Giants on a five-year $17.5 million deal with $7.1 million guaranteed. – QB Shaun Hill signs a two-year $6.5 million deal with the Minnesota Vikings. – LB Justin Durant has agreed to terms with the Atlanta Falcons.